You’re reading this, so you are a creature of the blogosphere. How often have you sat at the keyboard a few minutes longer than planned, so you could “correct” a stranger? 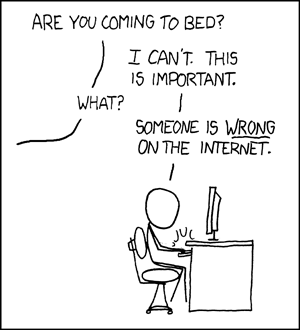 From xkcd, via Boing Boing. Great to see your work. I love the cartoon. Next story The mysteries of congregations revealed!